Jakarta Vice Governor, Sandiaga Uno wants Himpunan Pengusaha Muda Indonesia (HIPMI) to be a part of Jakarta economy growth and development.
" 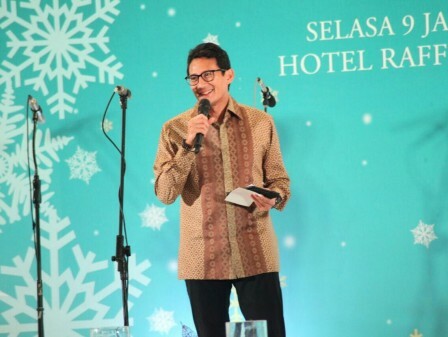 I hope HIPMI could be at the forefront in helping government program "
He conveyed it in HIPMI Christmas celebration at Raffles Hotel, Setiabudi, South Jakarta, Tuesday (1/9) night. He expressed, this year is a good year to develop business. He predicted Jakarta economy growth could reach 7 percent. "And HIPMI could be a part of Jakarta economy growth and development in the future," he stated. He added, OK OCE program can run well through cooperation with HIPMI figures. "I hope HIPMI could be at the forefront in helping government program to open more job opportunities," he said.